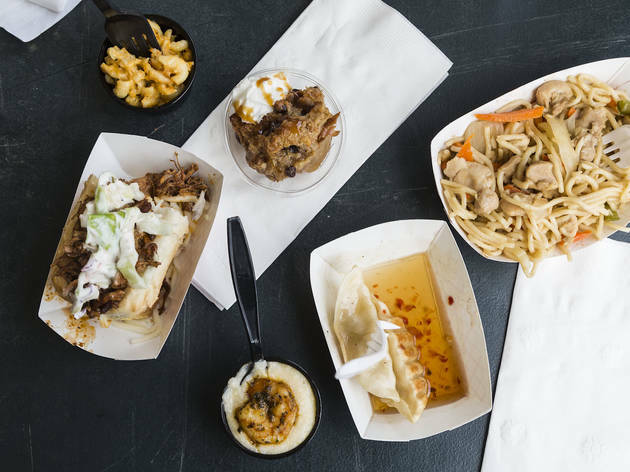 Love it, hate it or loathe it, Taste of Chicago is back again with five days of food, booze and music in Grant Park. 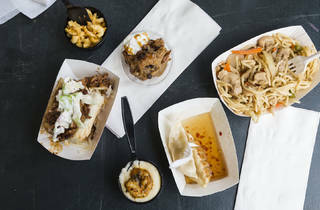 Of course, with the new year comes a slew of new vendors and dishes. 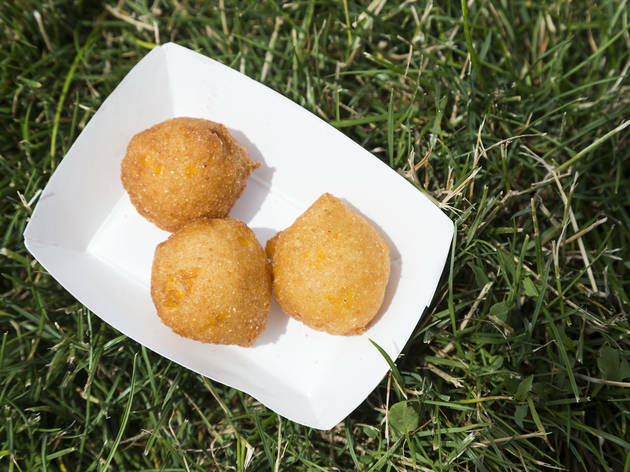 We hit the fest on Day 1 to try fresh takes from returning vendors and sample the fare from first-time restaurants and food trucks. 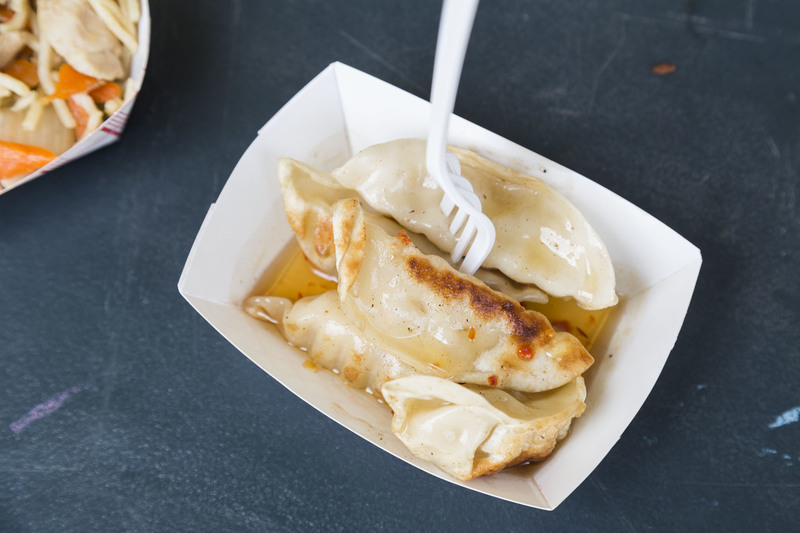 This is our ranking of the new dishes from worst to best. 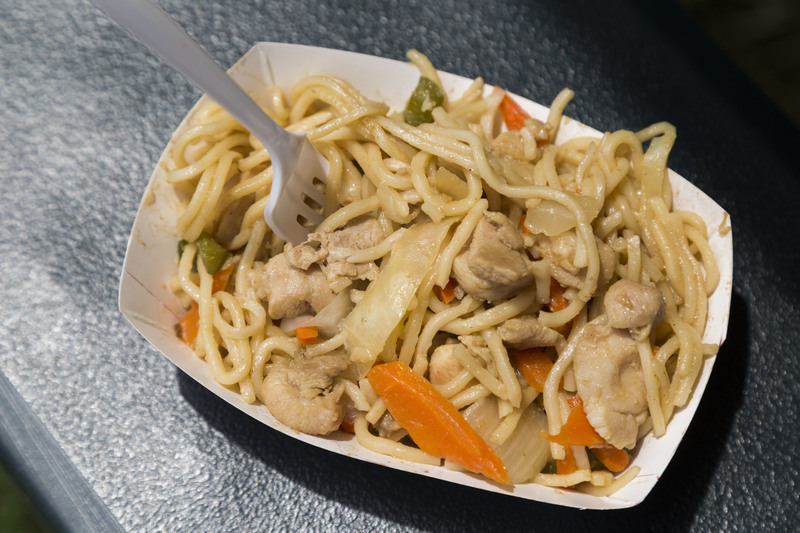 If this is your first time visiting Taste of Chicago, many of the returning vendors haven't changed their menus, and we've been ranking them since 2010. 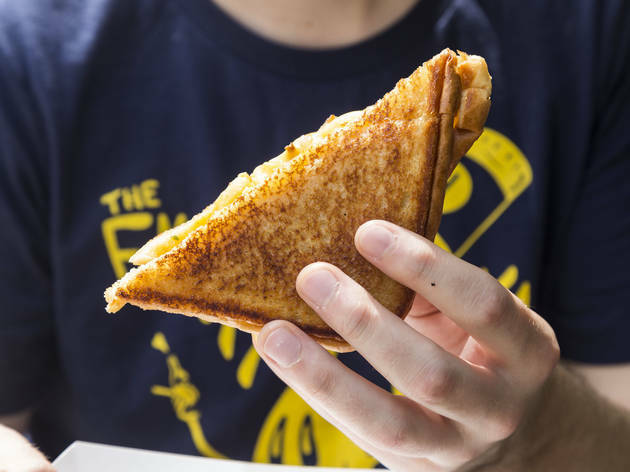 Here are our food reviews from 2016, 2015, 2014, 2013, 2012, 2011 and 2010. 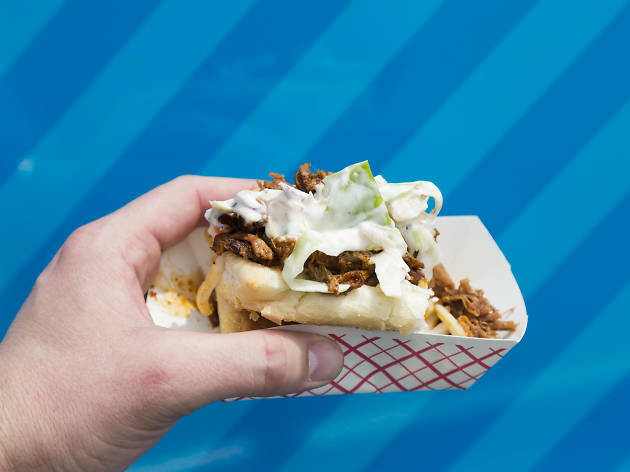 Pulled pork should be both juicy and saucy, resulting in a perfectly messy bite. 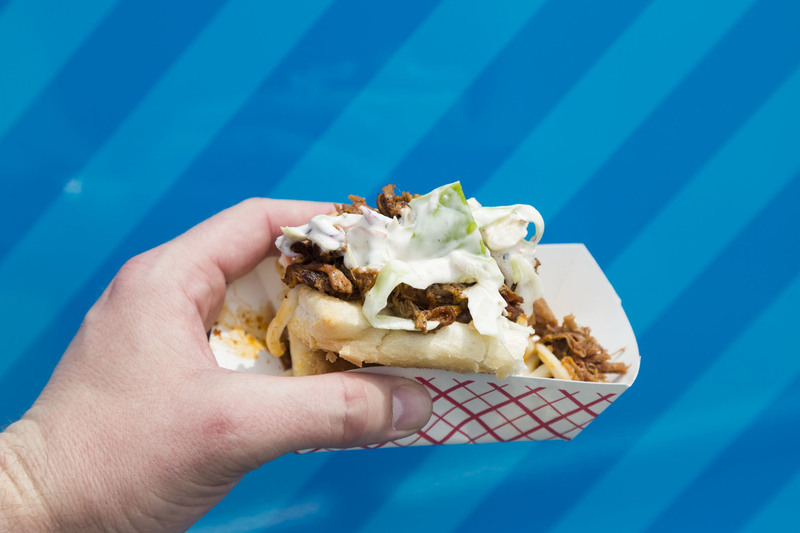 Even though this sandwich fulfills the messy end of the equation, the meat is dry and there isn't enough tangy sauce. To make matters worse, a cloying slaw overpowered every bite. 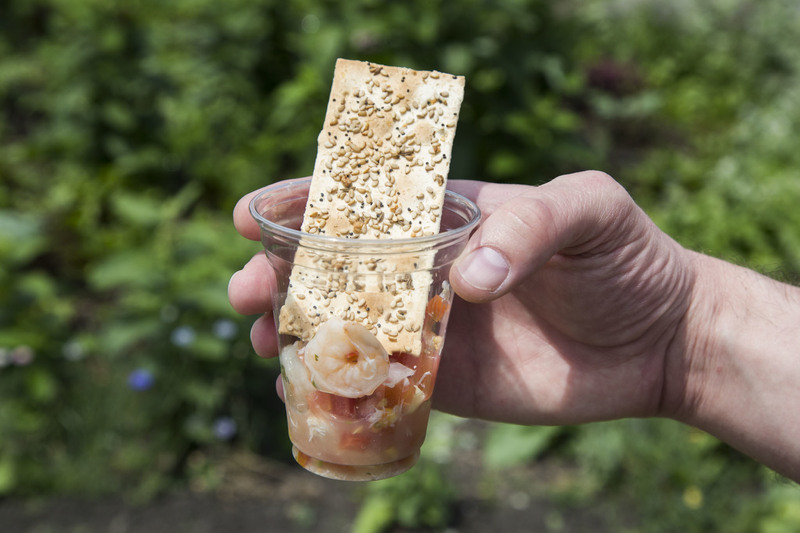 We have to give it to MAD Social: It's hard to pull off ceviche at an outdoor food festival. (Maybe there's a reason for that.) 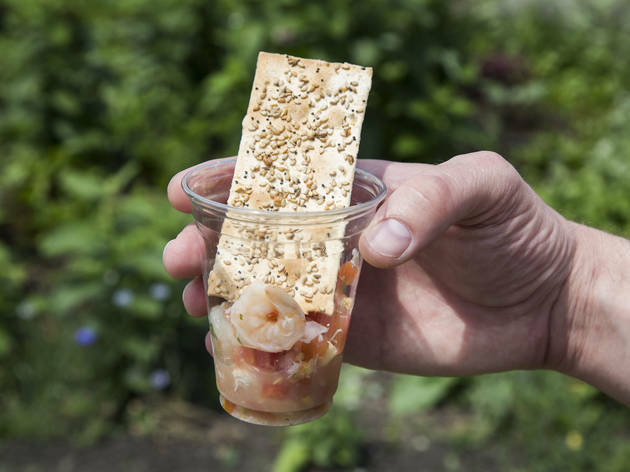 While the colorful, gourmet-skewing presentation wowed us, the underwhelming ceviche could have used a major punch of citrus flavor or spice. 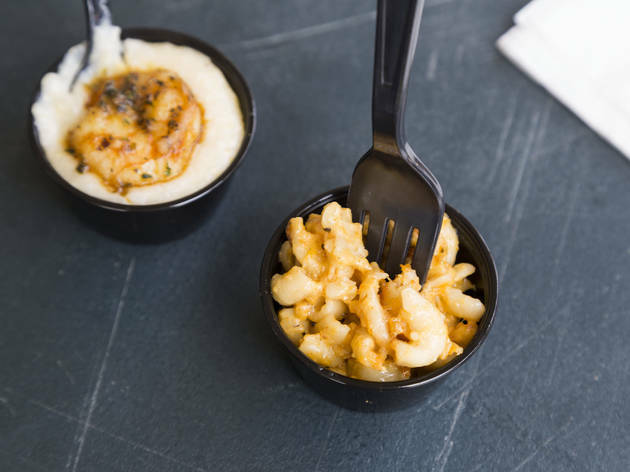 Judging by the name, we thought this mac-filled monstrosity would be stacked to the max, but the half-sandwich tasting portion is a bit underwhelming. 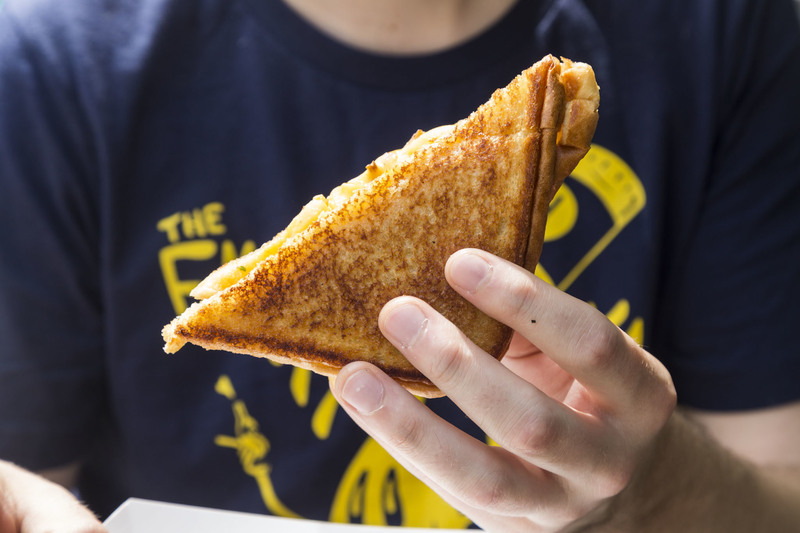 While the bread is toasted to perfection, there's something slightly unsettling about the mealy cheese sauce inside. 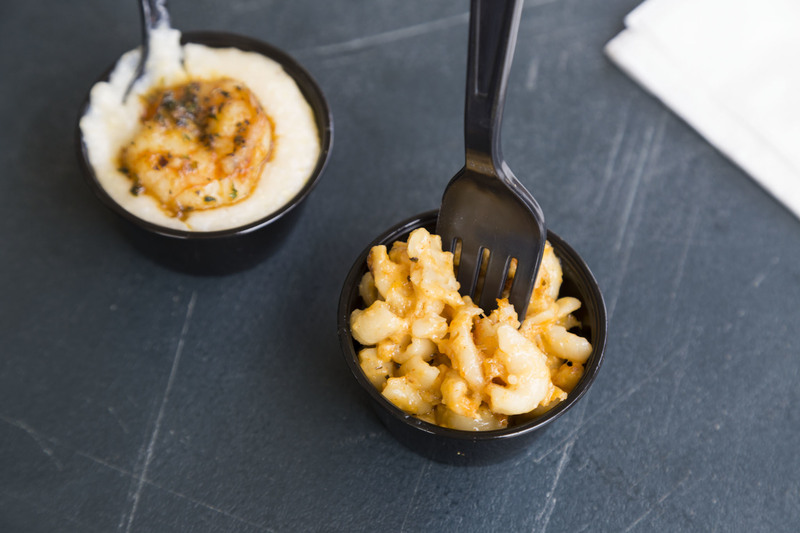 Perhaps this Cajun-spiced, lobster-studded mac would've landed higher on our list if it weren't for the measly portion. If you're looking for a lobster fix, take your tickets elsewhere. 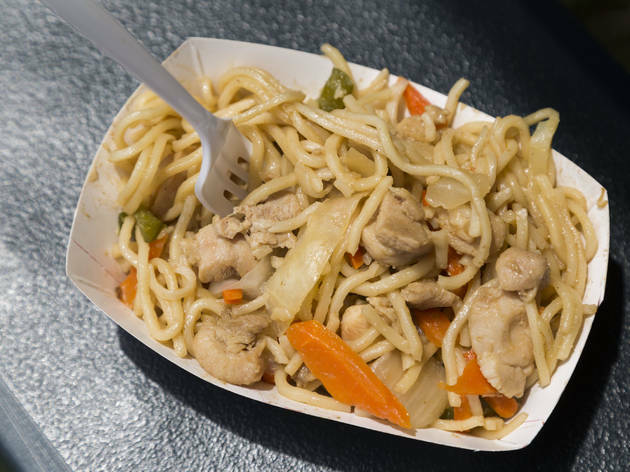 You can't go wrong with noodles, chicken and veggies, but this dish could use a serious blast of flavor and a touch of spice. There's nothing wrong with doing something simple and doing it right. 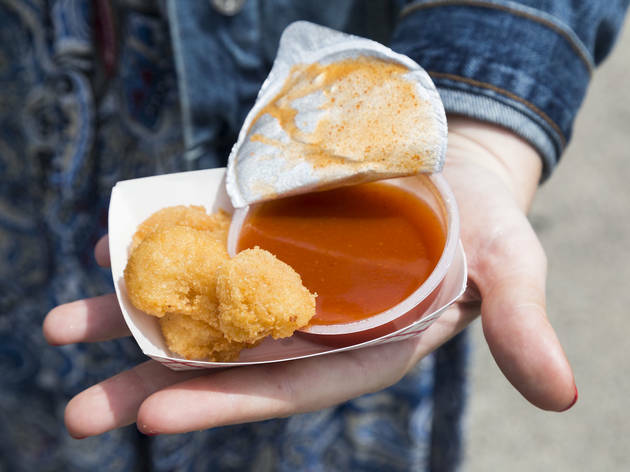 These perfectly breaded, excellently fried bite-size shrimp could have used a little extra seasoning, but they're portable festival food that pairs well with hot sauce or cocktail sauce. As the folks on The Great British Bake Off like to say, this is a good bake. 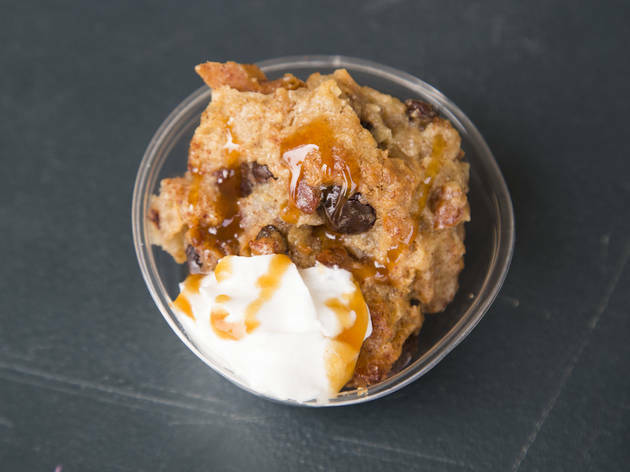 Stuffed with tender hunks of bread, baking spices and raisins, this mound of bread pudding is topped with ooey-gooey caramel sauce. 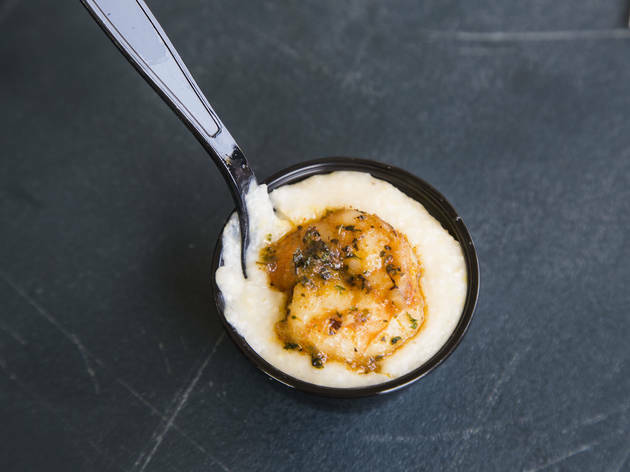 Our only critique: more sauce, please! 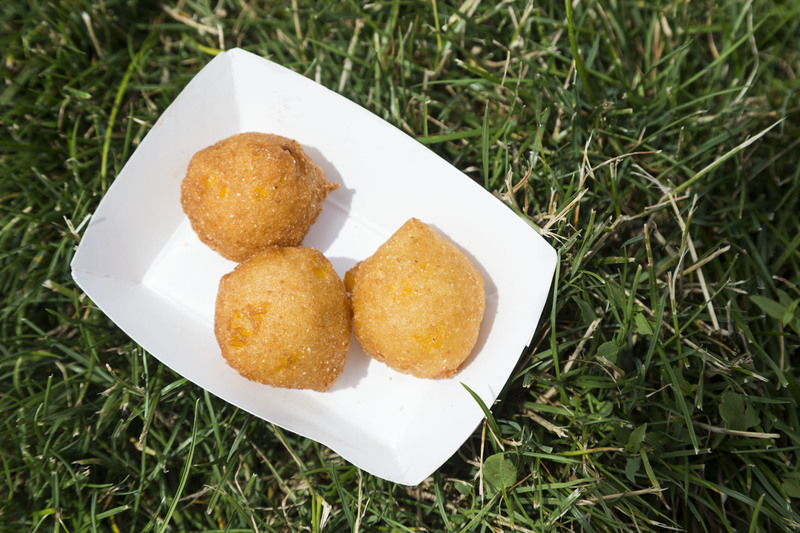 There's no shortage of fried food at Taste of Chicago, but these two-bite fritters have a super soft (albiet a tad doughy) filling that's studded with golden kernels. Pro tip: Grab a side of hot sauce for dipping. 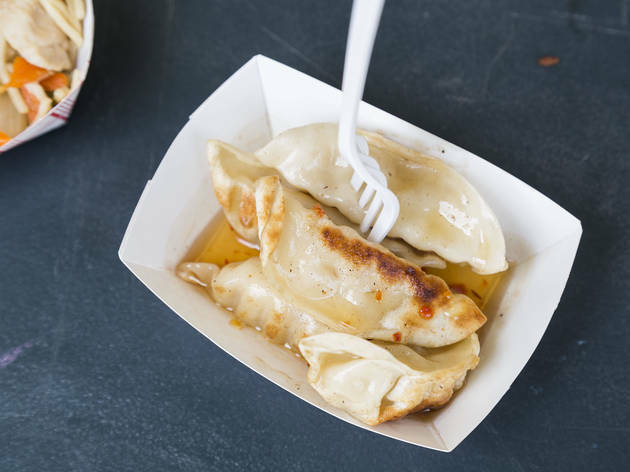 If you're looking for quantity, load up on these savory pork- and cabbage-stuffed dumplings served in a light sweet and sour sauce. 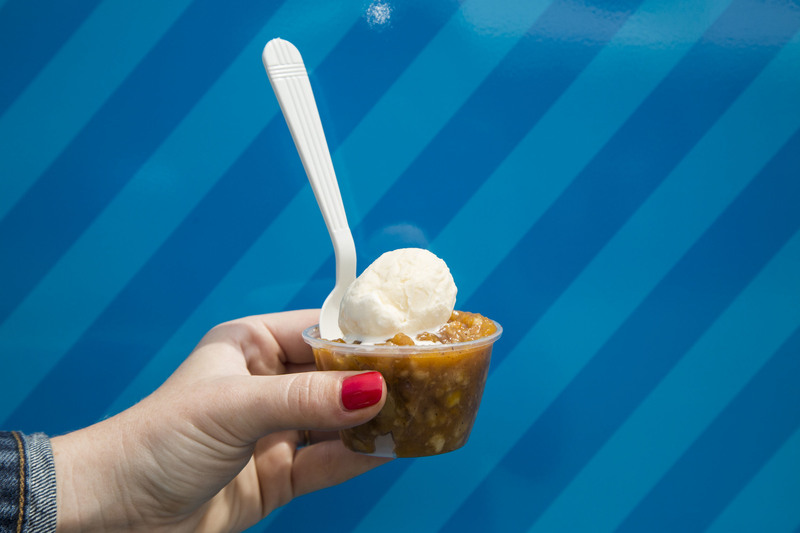 We were impressed with the size and flavor of this tasting portion. 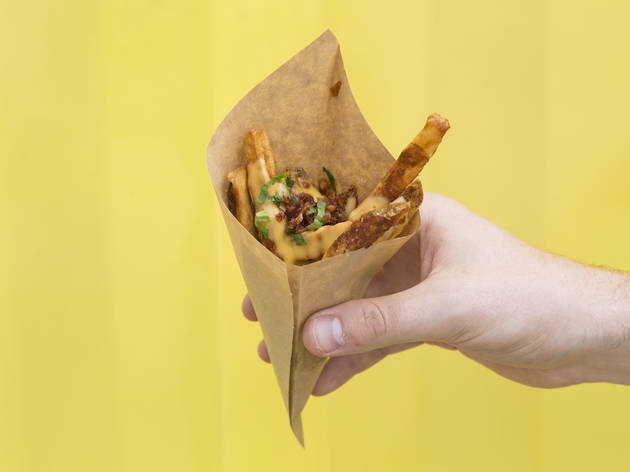 You can't really go wrong with a cone of loaded fries at a food festival, so it's no surprise that this treat—which is topped with cheese sauce, bacon and chives—topped our list. 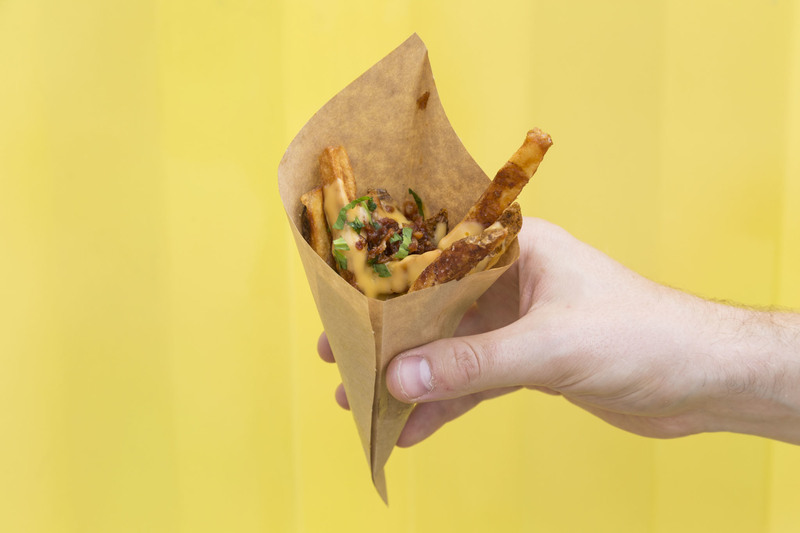 You'll have to fork over six tickets for this tiny portion, but rest assured, it's worth the cost. 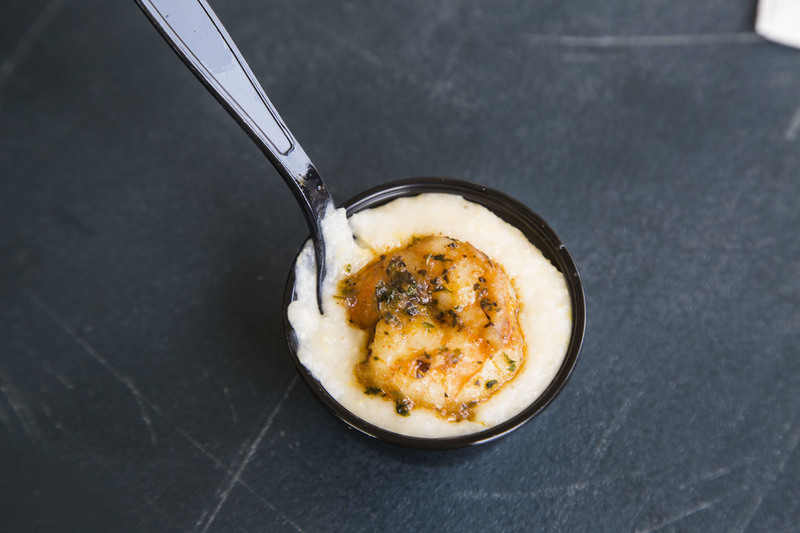 A perfectly seasoned, char-spotted shrimp sits atop a bed of buttery grits, offering two bites of pure Cajun bliss. 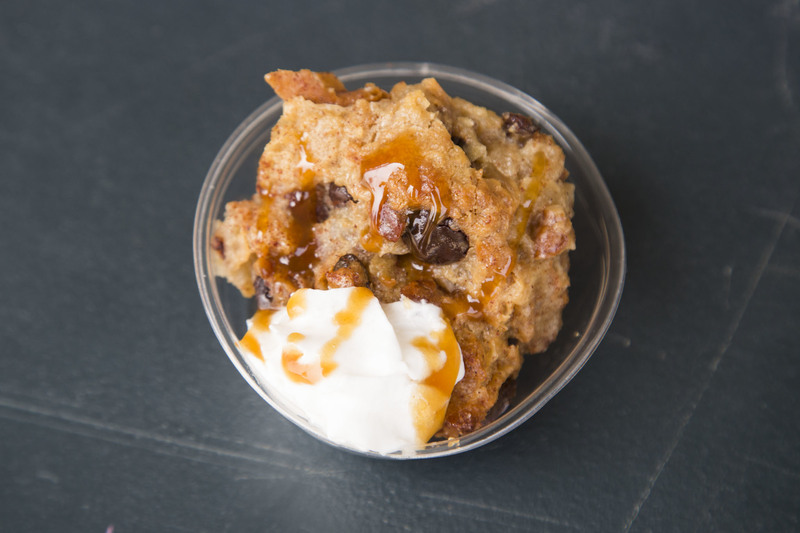 Fair warning: You won't want to share this dessert, so go ahead and order a few. Hunks of juicy peach intermingle with shards of warm, melt-in-your-mouth pastry to create the perfect summer treat. 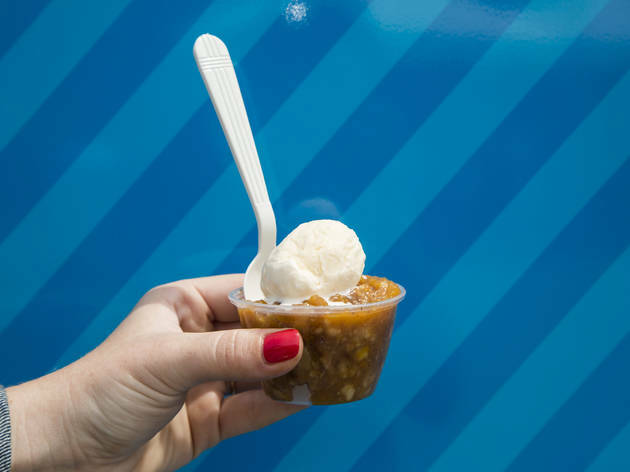 A tiny scoop of vanilla ice cream, which begins to melt as soon as it's handed to you, is the perfect accessory.